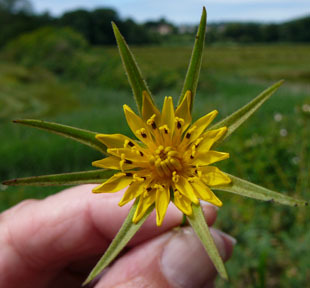 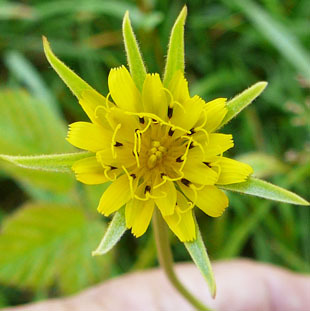 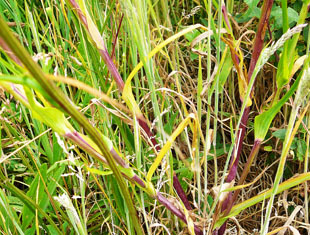 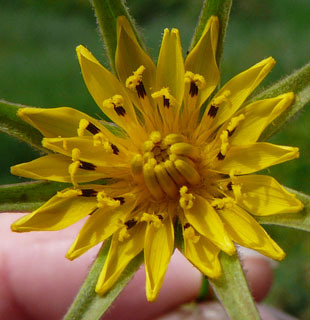 The flowers are bright yellow and up to 3cm across. 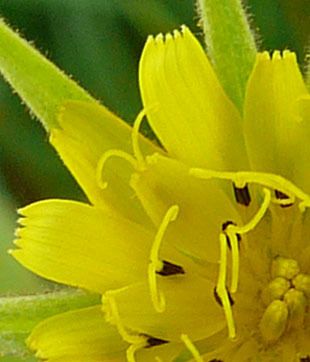 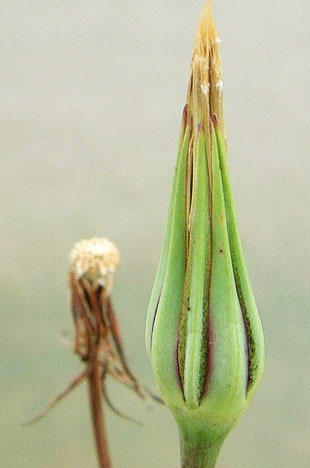 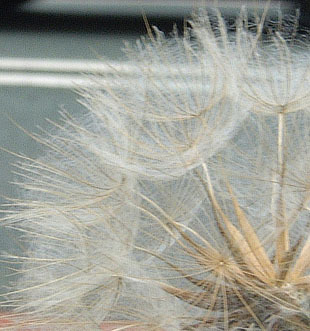 The pointed bracts are much longer than the flower. 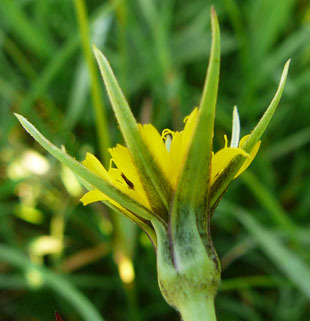 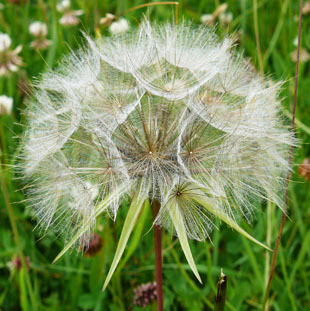 of the flower and are those most often seen. 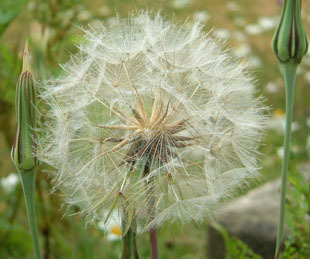 smaller than expected when compared with the large seed clock.